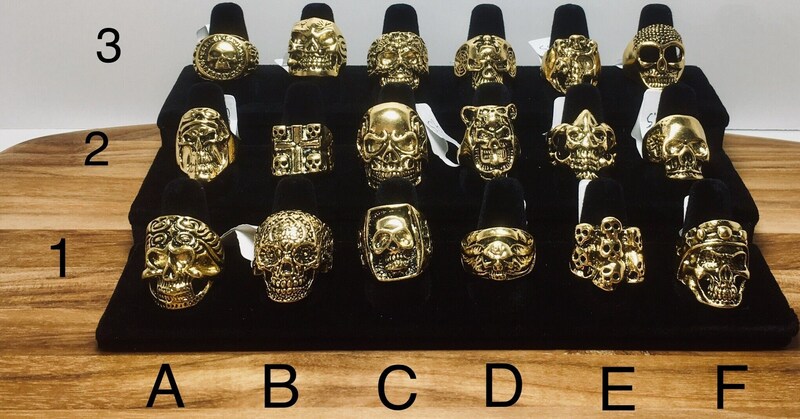 Biker Rings, Gold in color. Made from steel alloy. Sizes are approximated to nearest half size.